I have written before about how I cannot stick to one project at a time. Perhaps some of you are like me? It is the same with quilting projects as well! At the time that I embarked on my New Year's resolution of finishing my seven unfinished quilts, I really wanted to start new ones!! In starting more, seven looked like less! Yes, I am certifiably crazy!! 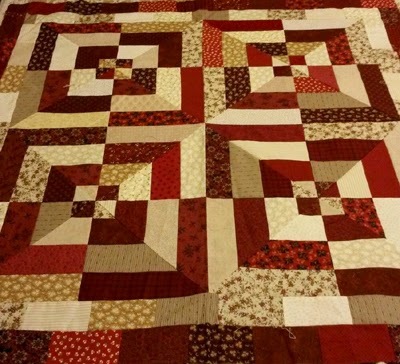 While looking at materials on Sewitsforsale@yahoo.com and quilts on pinterest and ebay I schemed and purchased new fun materials to play with and even found myself bidding on a few small quilts tops. I have since sat down and figured out how many years I will have to live to complete them all, and it is enough to make a me suicidal!! 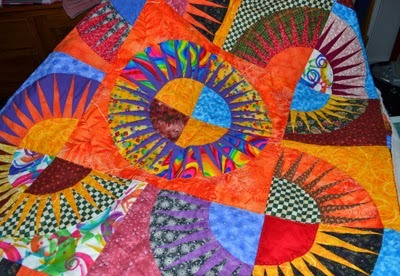 Oddly, I think many quilters are like me? If overwhelmed, take on more, not less! Hand-quilting practice on this small New York beauty bought on ebay! 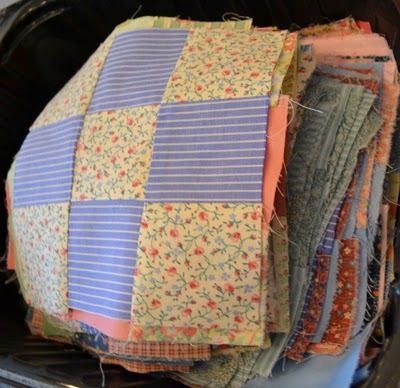 I carefully calculated how many hours it would take to finish each quilt and devised my Three Ring Circus Plan but before long I was as behind as ever, or so it seemed. Some days my body just doesn't cooperate!! Being, like Pooh Bear and a person of little brain, who doesn't change plans, but instead pushes harder, I am working to focus on my projects and shifting from one to another as I carry-on! It has all begun to make some sort of strange sense. 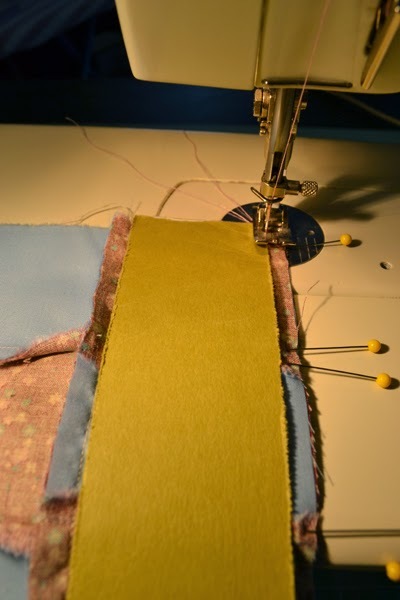 I first started quilting when I was in my twenties and jumping back into quilting now has been no small venture. My skills are rusty at best and at worst I knew I needed new techniques to do the sorts of quilts that I see at shows. 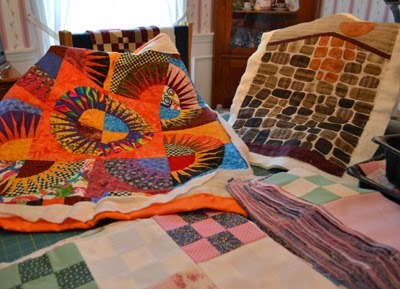 While I was my mother's quilt consultant until she died nine years ago and she considered me a bit of a quilt expert and critic, the truth was that my early learned skills are in much need of practice. What looks easy is not and I have worked hard the past few months practicing the following skills: machine stitching uniform patchwork; making delicate hand-applique stitches using cotton fabrics that necessitate first turning the edges under with precision and glue, unlike wool applique; and brushing up on my hand-quilting skills. I have yet to do much machine quilting except on some throw pillows, but that will soon start as I machine quilt my 9 Patch/9 Patch quilt strips and I will then join them together using a "quilt-as-you-go" technique, making them easier to work on, incrementally. Practicing making more precise 9-patch quilt blocks using a paper guide. 9 Patch blocks ready to be sewn with plain blocks for 9 Patch/9 Patch blocks. 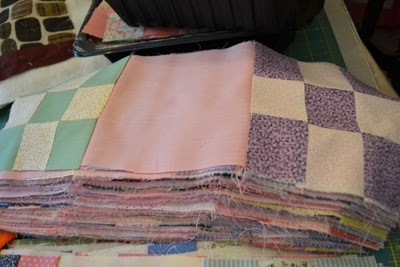 9 Patch/9 Patch blocks to sew to make strips for Quilt-As-You Go Quilting. 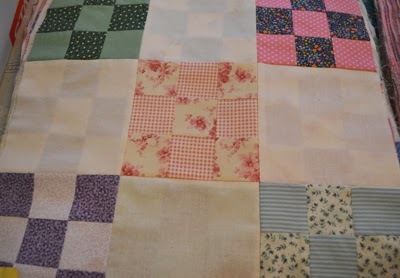 9 Patch strips to make 9 patch/9 Patch blocks with pink instead of muslin. Practicing freezer paper applique technique. 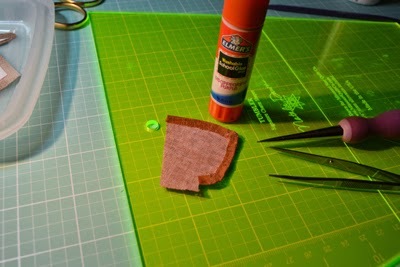 Practicing turning edges under and gluing for precise applique work. Wall hanging ready for quilting. Made with Daiwabo Japanese Fabrics. Purchased quilt top, ready for practice quilting--see on rack in first picture. 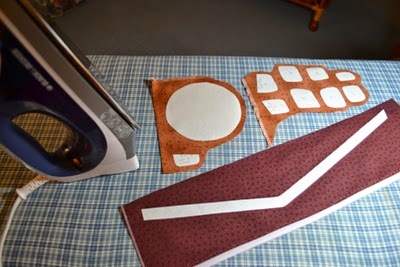 Washable sanitary pads make for much cutting and machine sewing practice. My multi-project approach is actually serving me well to practice all these skills. Pictures show my projects in progress and the caption, what skills I am working to master. 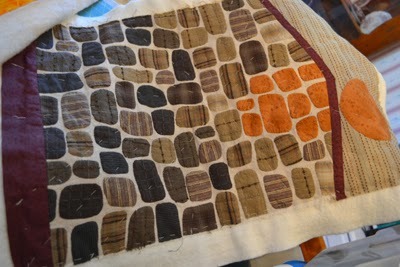 Warning: watching quilts in progress is a bit like watching grass grow! 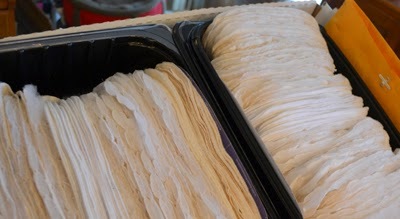 It is slow and tedious work, especially as I hop from project to project, but alas progress is being made, especially considering that my work is combined with life, but that is subject matter for another blog! Labels: hand-applique work, hand-quilting, piecing precise quilt blocks on the machine; practice cutting and machine sewing on utilitarian projects. e-bay quilt tops are good hand-quilting practice.